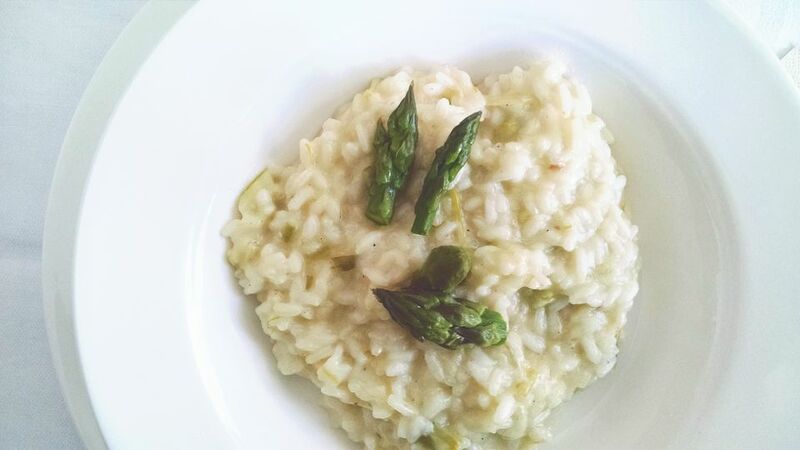 Risotto is a classic Italian side dish that uses short grain rice. This type of rice, which is quite round and looks very different from long-grain rice, releases lots of starch during cooking so the finished dish is very creamy and rich. This recipe for easy traditional risotto is classic. To make it the best it can be, follow a few simple steps. First, make sure the broth or stock you use is warmed. Adding cold liquid to the risotto as it's cooking will slow down the cooking process and may even "shock" the rice so it won't absorb as much liquid. Keep it on low heat and add it a ladle at a time, stirring while the broth is added. The stirring action is necessary to help the rice release starch so the liquid thickens and the risotto is very creamy. The classic recipe calls for adding butter at the very end of cooking time to add some richness, but you can skip this step if you're trying to cut down on dietary fat. Freshly grated Parmesan cheese, however, is a must. Don't even think about using pretreated cheese, especially the cheese in the green can. You have to use the real thing for the best flavor and texture in risotto. Enjoy this dish with a fresh and crisp green salad dressed with a simple vinaigrette. Some toasted garlic bread on the side is a nice touch. Place chicken broth in a heavy saucepan and bring to a gentle simmer over low heat. Heat olive oil in a heavy saucepan and cook onions and garlic, stirring frequently, until onions become translucent, about 4 to 5 minutes; don't let the vegetables brown. Stir in the rice and cook over medium heat, stirring constantly, 3 to 4 minutes longer until some grains begin to look translucent. Add wine or 1/2 cup chicken broth; cook and stir until liquid is absorbed. Then add about 1/2 cup of simmering chicken broth to the rice mixture, stirring constantly, until the liquid is absorbed. At this point, add more broth, about 1 cup, at a time and stir. The whole cooking process should take about 20 to 25 minutes. The rice should be tender, but firm, or al dente, in the center; test it by biting into some grains. When the rice is done, remove the pan from the heat and stir in cheese and butter and salt and pepper to taste. Stir until melted, then serve.